THE FIFA-backed group tasked with fixing Australian football's governance crisis has rejected concerns from Football Federation Australia's board about its proposals. The congress review working group (CRWG) released a lengthy statement on Tuesday, defending the report it has submitted to FIFA and dismantling each of the six criticisms aired by FFA last week. FIFA's member associations committee is expected to approve the CRWG's report next week and ask for it to be passed at an FFA extraordinary general meeting in September. 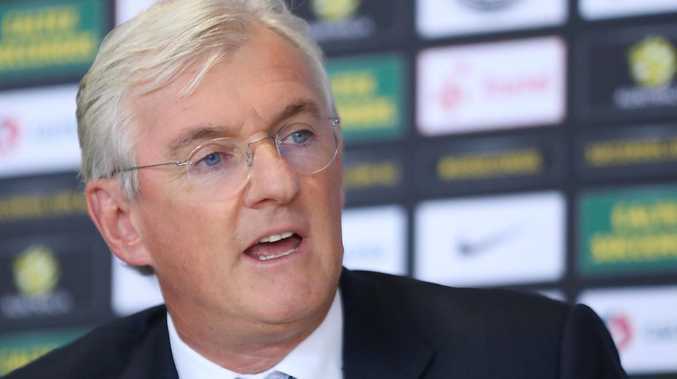 FFA chairman Steven Lowy and his board are strongly apposed to its key recommendations, which they believe are not in the best interests of the sport. Four of the country's smallest state federations are also prepared to vote against it, which could force FIFA to make good on long-held threats to intervene or at worst suspend Australia from international competition. The statement was released on behalf of seven of the CRWG's eight members: the heads of the Victorian, NSW, South Australian and Western Australian federations, Professional Footballers Australia CEO John Didulica and two A-League club representatives. The other CRWG member, FFA director Chris Nikou, signed off on the report but is now presumed to be aligned with the rest of the FFA board in fierce opposition to it. 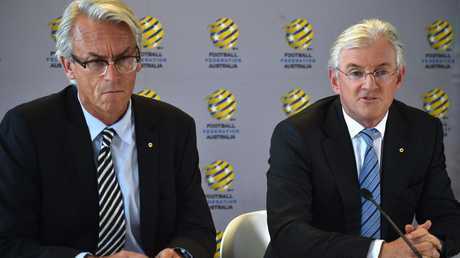 Football Federation Australia chairman Steven Lowy (R) and chief executive officer David Gallop. Much of the CRWG's response referred back to 'fine print' in their report which they believe quells most of FFA's concerns and corresponds with the global statutes FIFA says the country must abide by. The CRWG said FFA's claim that their proposed congress restructure gave too much weight to professional football over the grassroots was "without merit and without substance." Lowy had asserted that the proposed carve-up of votes would allow the A-League clubs to veto changes to the FFA constitution or "dictate" the election of board members on their own. However, the CRWG said the report specifically legislated against this and put forward a "healthy and robust" system to elect FFA directors. 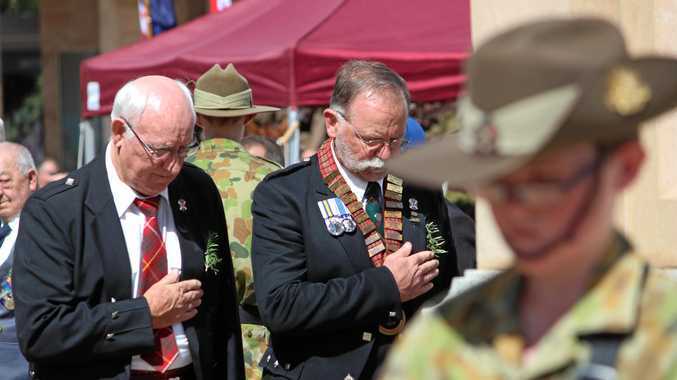 The CRWG also defended other aspects of the report which FFA had criticised, notably its proposed 'women's council', the pathway for special interest groups to join the congress, and planned transition for the A-League to become independent. While FFA insists its board and management should retain ultimate control when the A-League's operating model is redesigned, the CRWG believes the process should involve "all stakeholders" in the congress.